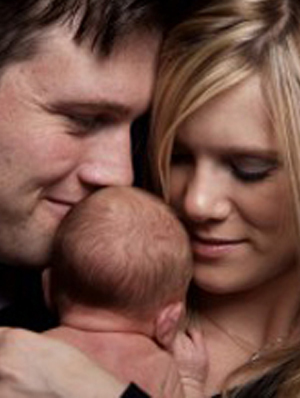 In Vitro Fertilization (IVF) requires a woman to undergo the embryo transfer process in order to get pregnant. The embryo transfer procedure is not painful to most, and this step of the IVF procedure is often compared to a pap smear. Most patients do have discomfort and pain after the procedure has been done. The embryo transfer procedure affects each person differently, but there are some issues, symptoms and risk that all – or a majority – of women endure. Once the procedure has been conducted, a doctor will have you lie down for at least 30 minutes. This exact time will vary. You may feel a bit of discomfort immediately following the procedure, especially when you are walking. This is one of the reasons why a doctor will suggest that you lie down in bed, or sit in a comfortable reclining chair for the remainder of the day. Necessary activities can be done, such as eating and using the bathroom, but any lifting or stressful activity should be avoided immediately following the embryo transfer procedure. Some women may notice bleeding or spotting after the embryo transfer process. This can happen immediately following the procedure; however, if the bleeding or spotting continues, you want to consult with your doctor. If a woman is bleeding, and has low blood pressure, or is suffering dizziness and severe pains – particularly back pain – this could be a sign of an ectopic pregnancy. Four percent of patients will suffer from an ectopic pregnancy after they have had the embryo transfer procedure. This means the fertilized embryos were implanted inside the fallopian tubes, instead of the uterus. Your fertility specialist should be contacted immediately if you suffer from any of these symptoms. It is a fact that the more embryos you transfer, the higher your chances of getting pregnant. It is also a fact that transferring a large number of embryos at once can lead to multiple pregnancies, which can put you at a higher risk of miscarriage. Multiple pregnancies could also cause a woman to go into premature labor. Studies show that women who are pregnant with more than one fetus are more likely to suffer from diabetes and high blood pressure, than a woman who is pregnant with one fetus. Some countries (like Australia) limit the number of embryos that can be transferred per IVF cycle, to keep women from facing these types of complications. Some women will become sick with fever or infection after receiving the embryo transfer procedure. Although you should contact your doctor immediately if a fever occurs, women do not have to be too concerned with the illness. Doctors will provide a patient with medication – typically an antibiotic – to treat the fever or infection. The medication will not affect your embryo transfer process. Complications or issues can arise with any type of procedure, and the embryo transfer procedure is no exception. Some women will suffer from one or all of the issues mentioned above, while others will not have one complication. It is important that you follow all of your doctor’s instructions, and do not stress yourself out while you are waiting to find out if the procedure was successful. Feel free to contact us to arrange for a private consultation or to ask any additional questions.